Water is an excellent fluid for cooling as long as it remains in a liquid state, but when water turns to steam it has virtually no capacity for heat transfer. Evans waterless coolant is a superior fluid for transferring heat in engines because it remains in a liquid state until above 375°F—well above the operating temperature of an engine. Within an engine cooling system, the hottest surfaces are those adjacent to the combustion chamber, specifically the cylinder liners and cylinder head. These hot spots cause water to vaporize, preventing efficient cooling and causing loss of performance and unnecessary engine damage. When the coolant fails in this way the engine becomes even hotter, causing more hot spots and more steam. Evans waterless coolants will not boil around these engine hotspots, maintaining efficient cooling performance even when the engine is put under extreme conditions. When water turns to steam it pressurizes the cooling system, putting stress on hoses and other components. 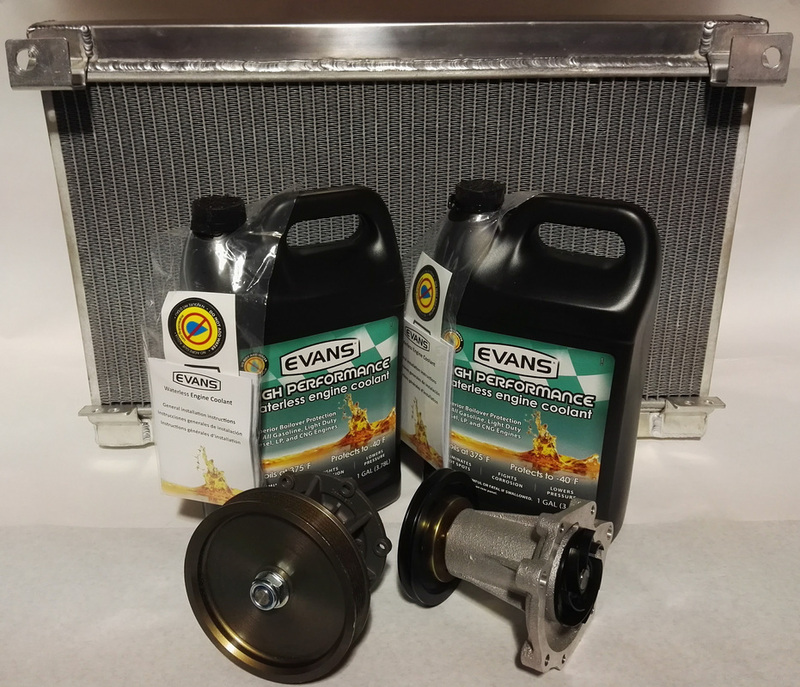 The significantly higher boiling point of Evans coolants means significantly less pressure than water, resulting in a less stressed cooling system. Water contains oxygen, which causes corrosion and also allows electrolytic activity which further damages engine metals. Evans waterless coolants eliminate corrosion and electrolytic activity, significantly increasing the life of the engine & also making it much easier to dissasemble Ferrari engines if needing a rebuild due to the lack of electrolosis caused by the Evans Coolant. Do your mechanic a favor, install Evans Coolant. I have been persoanlly been using it in all my cars since 2001, you should too!